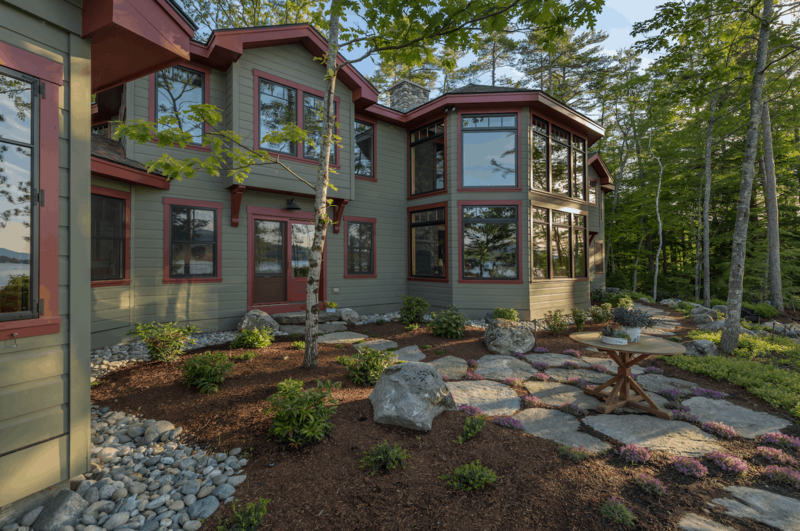 Located at the end of rural New Hampshire dirt road, this lakefront estate, built by Meridian Construction, is skillfully blended with its natural surroundings and gives a nod to the way life used to be on Lake Winnipesaukee. 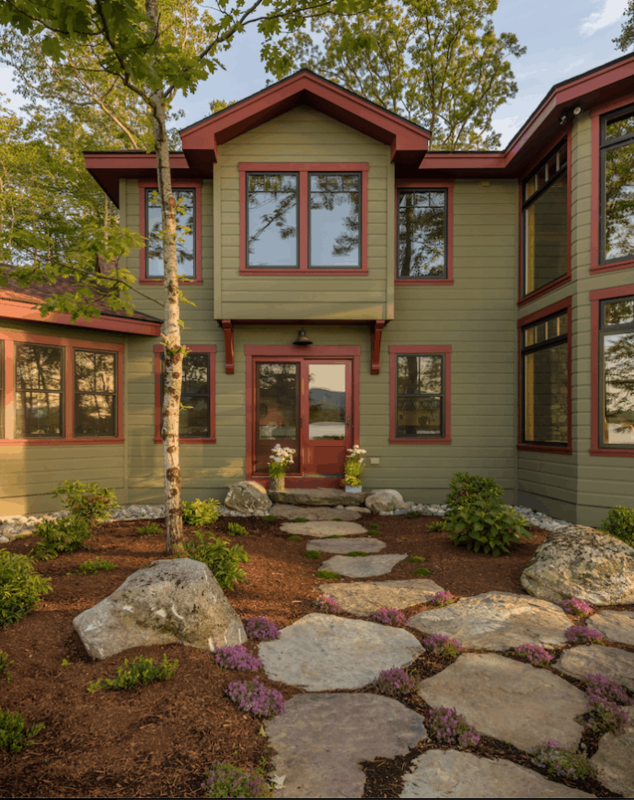 Not visible from the road, guests meander the long driveway through a wooded setting and arrive at the front of the home where a stand of low bush blueberries and select native plantings define the front entry. 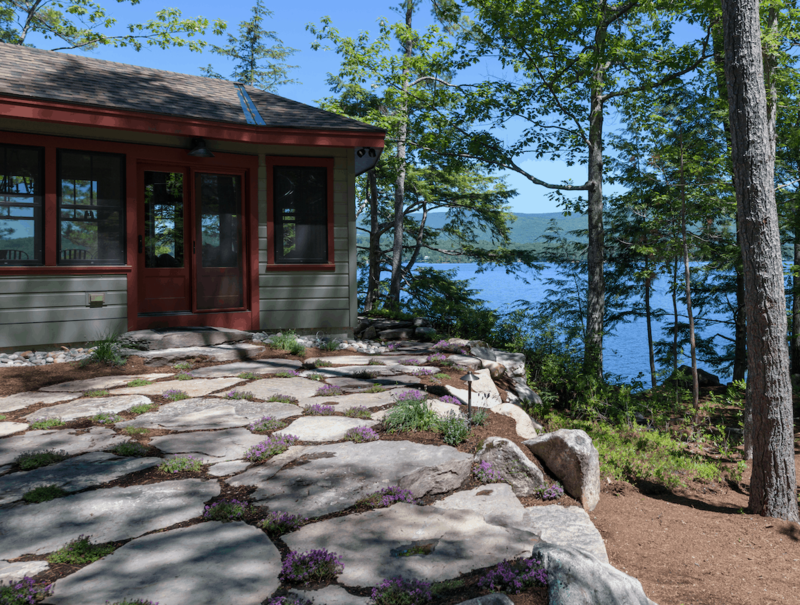 Pennsylvania fieldstone walkways, bordered by impressive stands of cinnamon fern, create a relaxed and airy feel as you make your way around to the lakeside of the home, where careful attention was given to preserving the property. 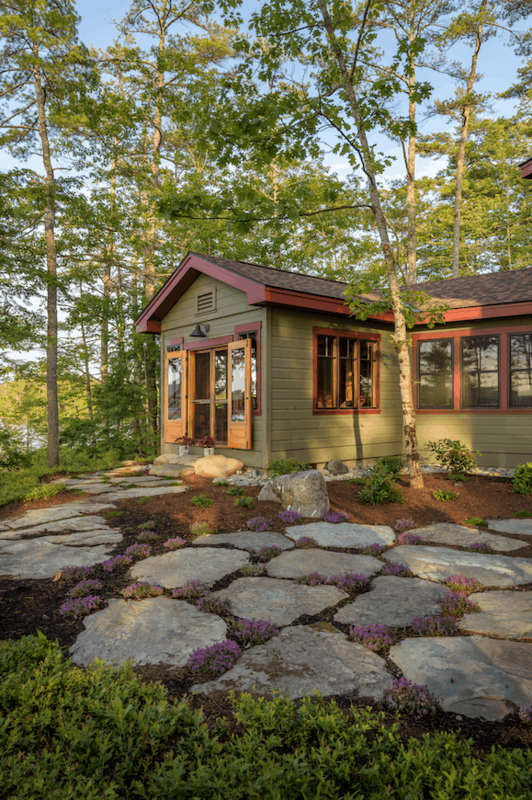 Mature hemlock trees and ledge outcroppings adorn the water’s edge and give the lakeside a rugged, natural appeal. A tasteful combination of native and ornamental perennials and shrubs help bring the landscape to life, and a boulder fire pit provides a welcome excuse to relax after a day of kayaking or exploring the sculpted nature paths on the property.